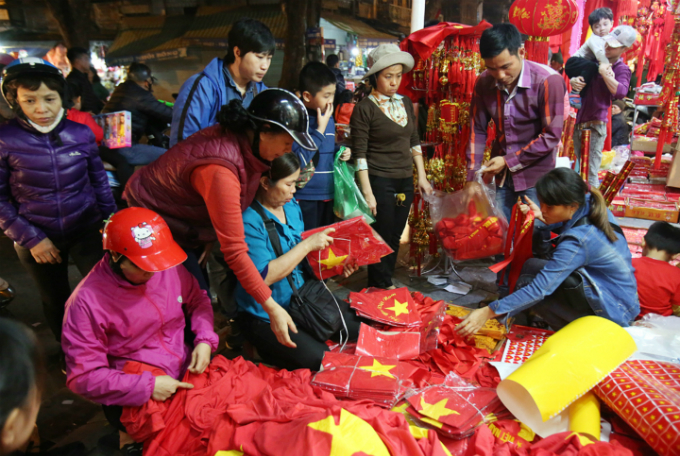 National flags, banners, stickers and scarves are in high-demand in Ho Chi Minh City and Hanoi. 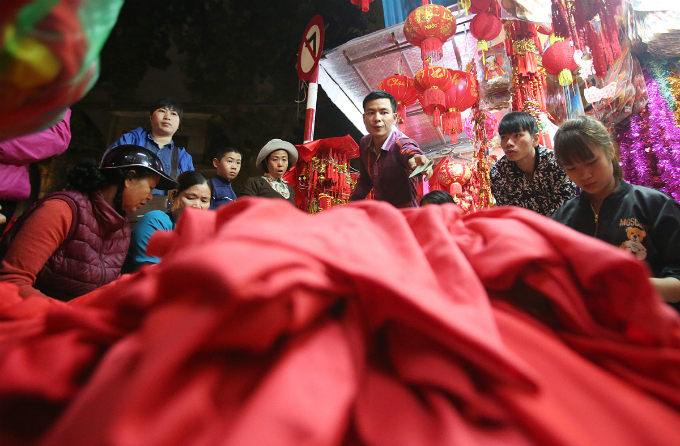 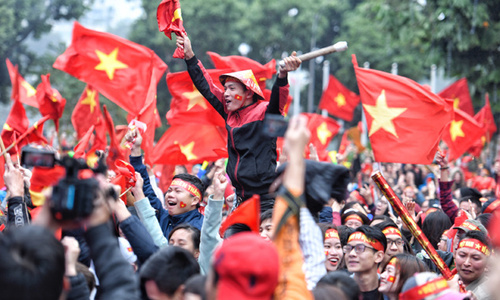 While Vietnam's U23 football team gears up for the momentous AFC Championship final against Uzbekistan on Saturday in Changzhou, China, their fans back home are also busy suiting up in red. 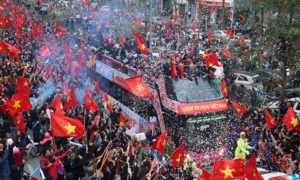 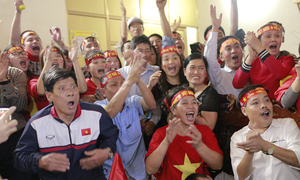 After the impressive celebrations with seas of red for the semifinal win over Qatar, Vietnamese fans are on the hunt for national flags in all sizes, and red T-shirts and stickers. 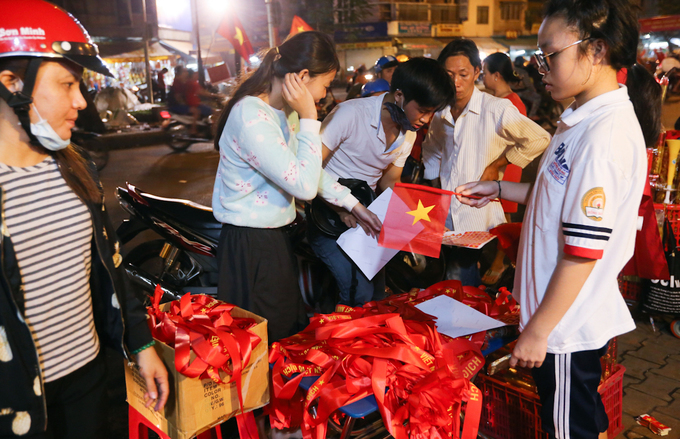 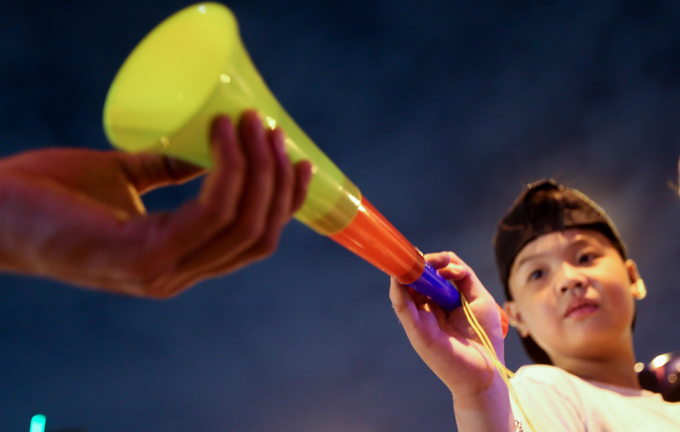 Streetside vendors have quickly seized the opportunity, putting up stalls selling flags and plastic trumpets. 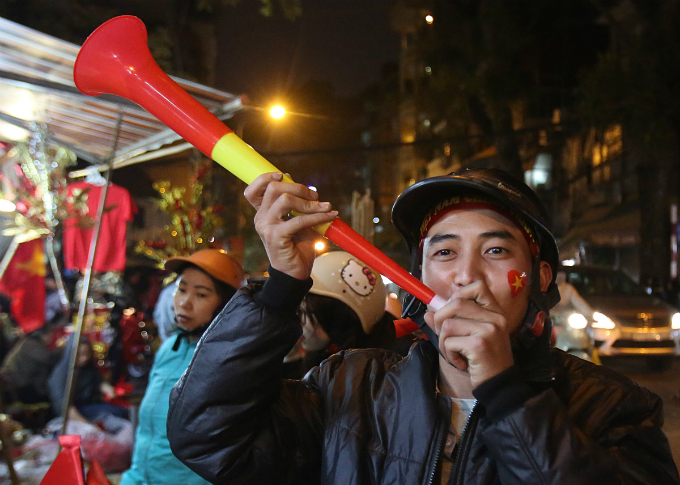 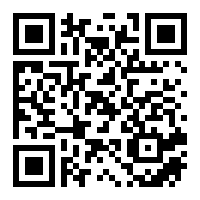 Make some noise for VND40,000. 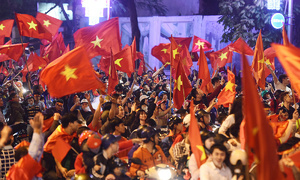 Hang Ma Street in Hanoi has also been busier than ever. 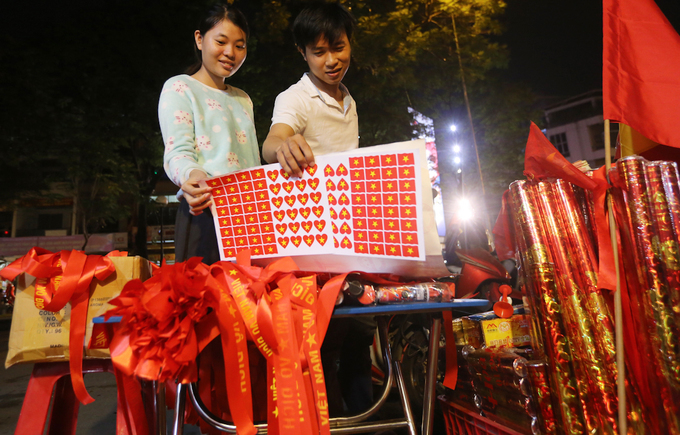 Famous for selling paper crafts, home decorations and toys, the street has been mobbed by football fans looking for national flags and trumpets. 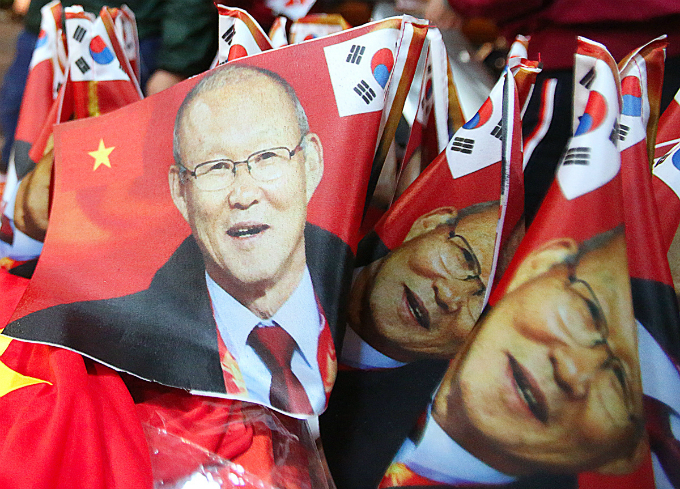 Banners of the South Korean coach Park Hang-seo have proved a hit before the game. 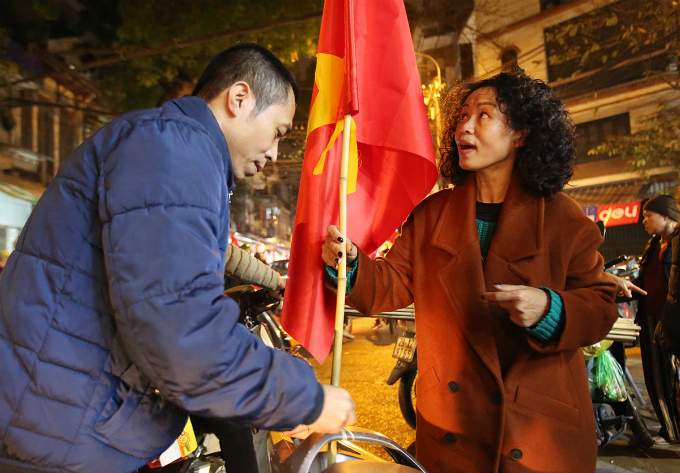 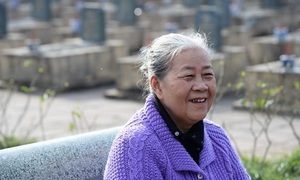 “I'm buying one the night before the final or they'll all be sold out,” said a woman about her new VND80,000 flag. 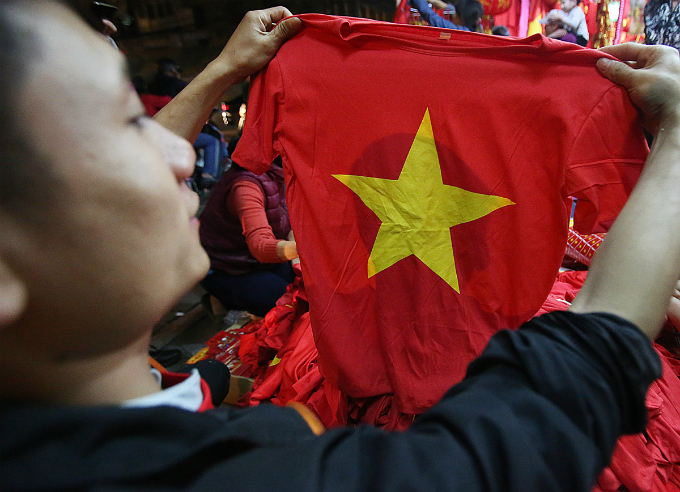 T-shirt are selling for VND80,000 each, or VND650,000 for 10. 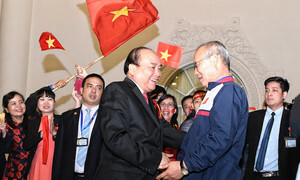 Red is the official color of the Vietnamese team. 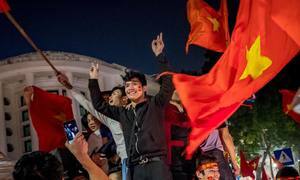 Vietnam's U23 team has shocked the nation, and the continent, with its extraordinary run at the AFC Championship 2018 in China. 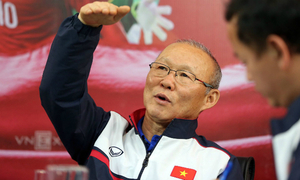 Considered an underdog in the group stage, the team under the leadership of newly appointed coach Park Hang-seo has overcome regional powerhouses Australia, Iraq and Qatar along its historic journey. 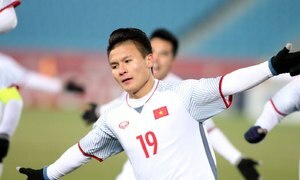 The final showdown is against Uzbekistan on Saturday afternoon.